If you were recently involved in an auto accident that required the Garland Police Department to investigate the crash, there are several ways to access your Garland car accident report. Garland car accident reports are available in-person or you can request a copy online. The CR-3 Form is also known as a “Texas Peace Officer’s Crash Report”, this form happens when a Garland Police Officer is investigating the scene of the accident and damages appear to be $1,000 or more. If you wish to get a copy of this form online, the City of Garland partners with LexisNexis, an online portal, and can be found here. We’ll get your GPD accident report for you. Just provide the details of your accident, and we’ll track down your Garland accident report and email it to you. At times, there will not be an officer present to investigate the car crash. 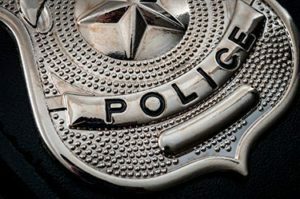 Texas police officers will not respond to a car accident unless there is bodily harm or damages exceed $1,000 or more. If this is the case then you will need to file for a CR-2 Form (also referred to as a “blue form”). This will serve as your copy of the Garland accident report. You can request a copy here. If you wish to receive a copy of your Garland accident report in-person you will need to head down to the Garland Police Department. It is uncertain whether or not they will have a copy of your Garland car accident report on file so it would be a good idea to give them a call. A Garland accident report can become a substantial piece of evidence when you want to file a personal injury claim. So, it is important to keep a record of any type of accident report you received.